When you book your stay at the Hobbit Hollow House you are reserving our entire turn of the century Colonial Revival farmhouse for a long weekend or more in one of the Finger Lakes' best casual-elegance retreats. You will be taking in the peace and reinvigoration of scenic views of Skaneateles Lake; picturesque views of rolling meadows and thriving vineyard acres. Enjoy our immaculate farmhouse and estate, and thrill to the bustling quaintness that is the nearby historic village of Skaneateles. Reservations are proudly powered by VRBO. The Hobbit Hollow House was incredibly comfortable, spacious and accommodating to all of our needs. Our employees loved staying in the luxurious rooms. We look forward to returning next year! Skaneateles Lake is known worldwide as one of the most beautiful and unspoiled of the Finger Lakes. In addition to lake views, our guest rooms overlook colorful meadows and vineyards plus the farm’s barn and stables. Hobbit Hollow House features six elegant and comfortably appointed guest rooms, featuring such amenities as gas fireplaces, whirlpool tubs, and enclosed porches. Reserving an entire house to yourself and your party for a week in Skaneateles is an unparalleled experience. The beautiful and serene Skaneateles location of Hobbit Hollow House, backed by fields and meadows and overlooking White Birch Vineyards and the placid Skaneateles Lake, is the ideal environment to vacation away from the busy and hectic day-to-day life. Luxuriate in our invigorating surroundings and take advantage of the next-door feel of all that Skaneateles has to offer; shopping, sightseeing, fine dining, historical adventures, holiday delights, and much more! Plan the retreat of a lifetime and book our house for your stay now. Or explore more! When you book an entire house with your family and friends for a week, you want to make sure it's going to be an experience to be treasured for years. Learn about our gorgeous location, landscape, property and the history of the building. 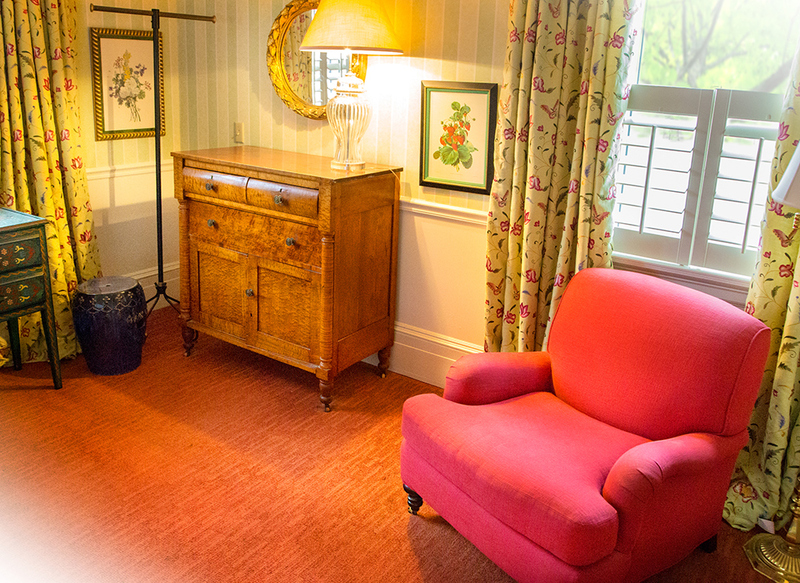 We're proud of our rich history, lush landscape, and unparalleled decorations and interiors. Discover our immaculately designed casually elegant rooms to cater to your whole party's needs. Learn about each of our six bedrooms and some of our indulgent amenities. Your stay in the Hobbit Hollow House will be the perfect retreat for your whole party.